*"England, Derbyshire, Church of England Parish Registers, 1537-1918," database with images, FamilySearch (https://familysearch.org/ark:/61903/1:1:KBD6-ZT1 : 29 December 2014), Philippa Sowter, 10 Jul 1568; citing Christening, All Saints Church, Derby, Derbyshire, England, Record Office, Matlock; FHL microfilm 1,041,144. * [[Bredehoft-6 | Tom Bredehoft]], information from the Bredehoft Family Generations at The Next Generation of Genealogy Sitebuilding. ==Acknowledgements (contributors)==*This person was created on 14 April 2010 through the import of Jamie 2010_2010-04-10.ged*This person was created on 13 September 2010 through the import of 124-DeCoursey.ged. * WikiTree profile Sowter-20 created through the import of L.R.Hubbard_2011-07-29.ged on Jul 29, 2011 by [[Connolly-194 | Alexis Connolly]]. 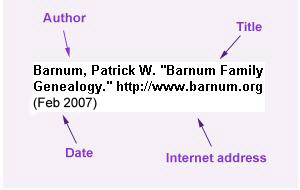 See the [http://www.wikitree.com/index.php?title=Special:NetworkFeed&who=Sowter-20 Changes page] for the details of edits by Alexis and others. *This person was created through the import of Truitt Family Tree again.ged on 13 August 2010. The following data was included in the gedcom. You may wish to edit it for readability. * WikiTree profile Sowter-25 created through the import of Putnam2-1_2010-01-02_2011-02-16_2011-10-11.ged on Oct 12, 2011 by [[Putnam-327 | John Putnam]]. See the [http://www.wikitree.com/index.php?title=Special:NetworkFeed&who=Sowter-25 Changes page] for the details of edits by John and others. ====Merges====:This profile developed through the merging of Sowter-25 and Sowter-8. :This profile developed through the merging of Sowter-8 and Sowter-2.